Graphene is a better conductor than copper but electrons that move through it can’t be stopped because when electrons move through it, they do so in straight lines and their high velocity does not change. And if they hit a barrier, they can’t turn back, so they have to go through it. so scientists have been looking at how to control or tame these electrons. Scientists at Rutgers University-New Brunswick succeeded to tame the unruly electrons in graphene, paving the way for the ultra-fast transport of electrons with low loss of energy in a new way. The photon-like propagation of the Dirac electrons in graphene, together with its record-high electronic mobility can lead to applications based on ultrafast electronic response and low dissipation. However, the chiral nature of the charge carriers that is responsible for the high mobility also makes it difficult to control their motion and prevents electronic switching. Here, we show how to manipulate the charge carriers by using a circular p–n junction whose size can be continuously tuned from the nanometre to the micrometre scale. The junction size is controlled with a dual-gate device consisting of a planar back gate and a point-like top gate made by decorating a scanning tunnelling microscope tip with a gold nanowire. 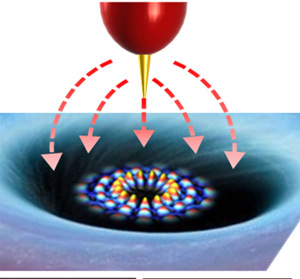 The nanometre-scale junction is defined by a deep potential well created by the tip-induced charge. It traps the Dirac electrons in quantum-confined states, which are the graphene equivalent of the atomic collapse states (ACSs) predicted to occur at supercritically charged nuclei. As the junction size increases, the transition to the optical regime is signalled by the emergence of whispering-gallery modes similar to those observed at the perimeter of acoustic or optical resonators, and by the appearance of a Fabry–Pérot interference pattern for junctions close to a boundary. 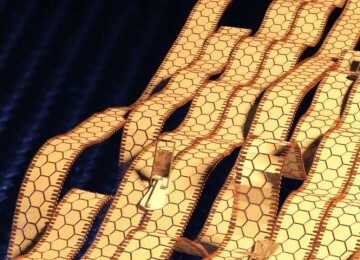 Now it may become possible to realize a graphene nano-scale transistor, Andrei said. 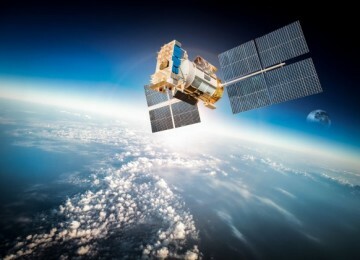 Thus far, graphene electronics components include ultrafast amplifiers, supercapacitors and ultralow resistivity wires. 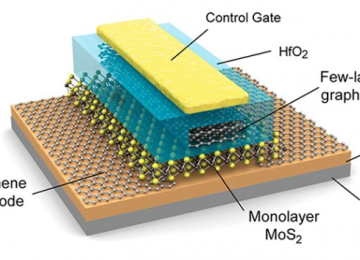 The addition of a graphene transistor would be an important step towards an all-graphene electronics platform. 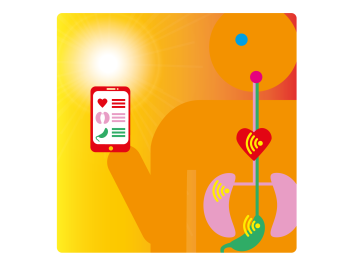 Other graphene-based applications include ultrasensitive chemical and biological sensors, filters for desalination and water purification. 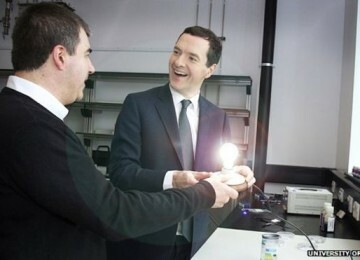 Graphene is also being developed in flat flexible screens and paintable and printable electronic circuits.